Exclusive item for PS4 players. Playstation 4 Preorder exclusive Skin. This item was given out in a promotional giveaway in partnership with intel. Given to players who passed level 1 during the Event Pass: Sanhok. Promotional item. Source currently unknwon. 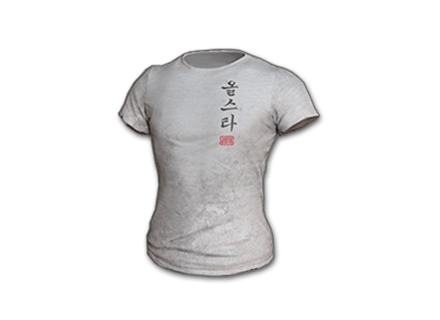 Promotional T-Shirt for PGI 2018, given away by PUBG Partners and communities. Promotional item for Tencent players who connected their Steam account to QQ. 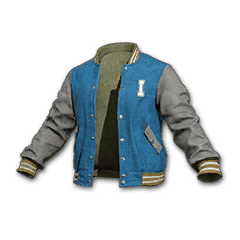 Tencent exclusive item for players who preordered the game. Promotional item for players who played 14 cumulative days on DMM between dec 21 2017 and Jan. 31 2018. Free item for Early Access players. Exclusive Promotional Skin for PUBG partners. This item can be found ingame. There are no official infos about how to obtain it. Exclusive item for partnered Panda.tv streamers. Compatible with steam. Item for players who preordered the game on kakaogames. Can not be activated on steam. Promotional item for players who bought the game on Mail.ru. Not available anymore. 40.000 codes have been distributed.